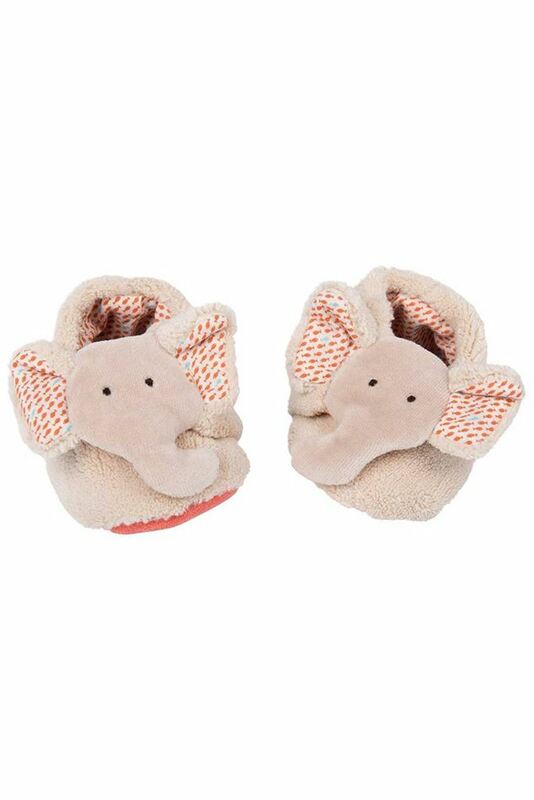 Introducing the Moulin Roty Les Papoum Elephant Baby Slippers, made from a super soft terry velvet, lined with fish patterned cotton. They have a coral, double velour sole. Super soft and super cute these booties are that magical combination of easy to put on but hard to kick off thanks to a clever velcro fastening! Part of the Les Papoum range of super soft zoo animals. Meticulous attention to detail and quality combined with great design and a nod to the playful makes Moulin Rotys toys really stand out from the crowd. Each one is full of character and sure to become a firm favourite with it's little owner.